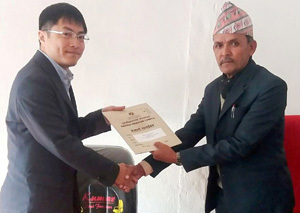 Prithvi Narayan Campus of Tribhuvan University has started to build relations with overseas universities to promote the overall development of the campus. To date, the campus has carried out a wide range of fruitful collaborations with many institutions in support of mutual interests in the field of education and research. The campus and Hefei University, China have signed the Memorandum of Understanding (MoU) for academic exchange and international cooperation. 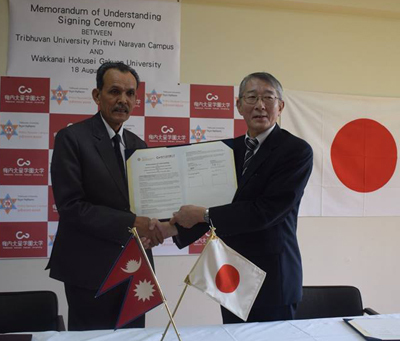 A few months ago, a Japan visit team led by Campus Chief Prof. Chandra Bahadur Thapa has signed the MoU with Wakannai Hokusei Gakuin University, Japan. Recently, the campus has also signed the MoU with the Andalas University, Indonesia, followed by a collaborative seminar. 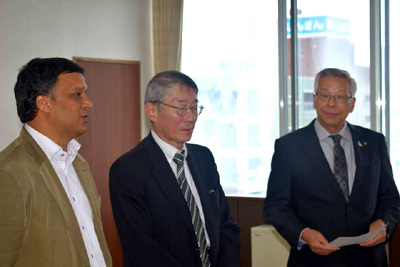 The campus has recently signed the MoU with Muroran Institute of Technology, Japan. The collaboration between the campus and two other universities: Maharashtra University, India and Yunnan Minzu University, China is in the process of signing the agreement which will take place soon. 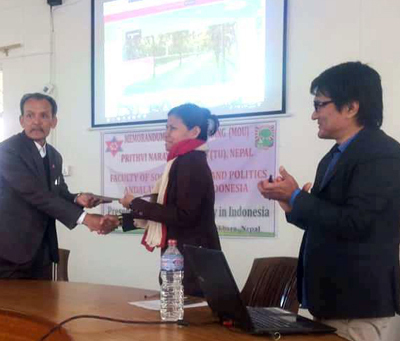 Similarly, the campus is in contact with Sikkim State University, India and discussion on the possibility of exchange programs is in progress. The purpose of this initiative of the campus for international exchange and cooperation is to promote collaboration, provide opportunity for international experience, and facilitate advancement of knowledge between the campus and the institutions abroad. 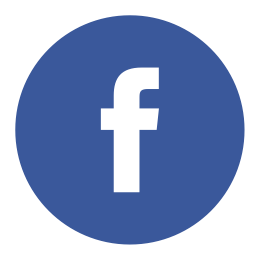 This will be understood on the basis of reciprocity, mutual benefit, and frequent interaction of international institutions. 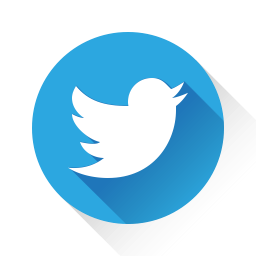 All activities arising from the governments of each institution that provide mutual benefits to both institutions.